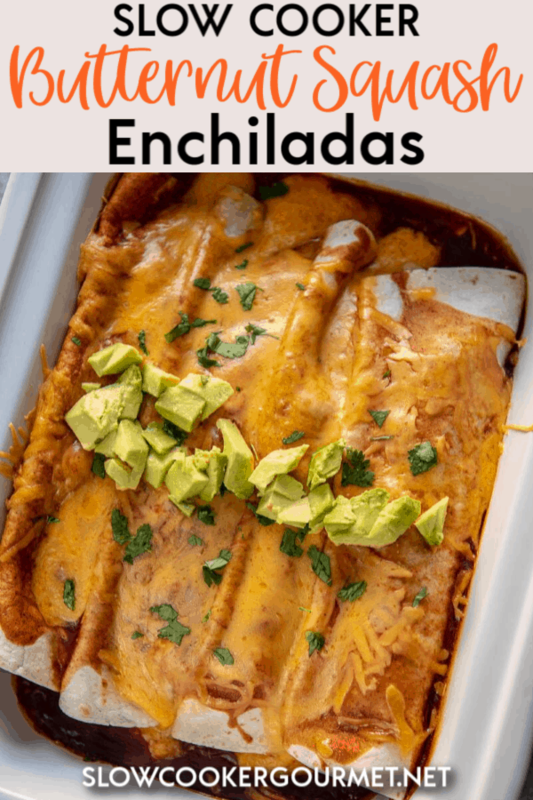 These slow cooker butternut squash enchiladas use a few tricks to make them super easy and quick to prepare! 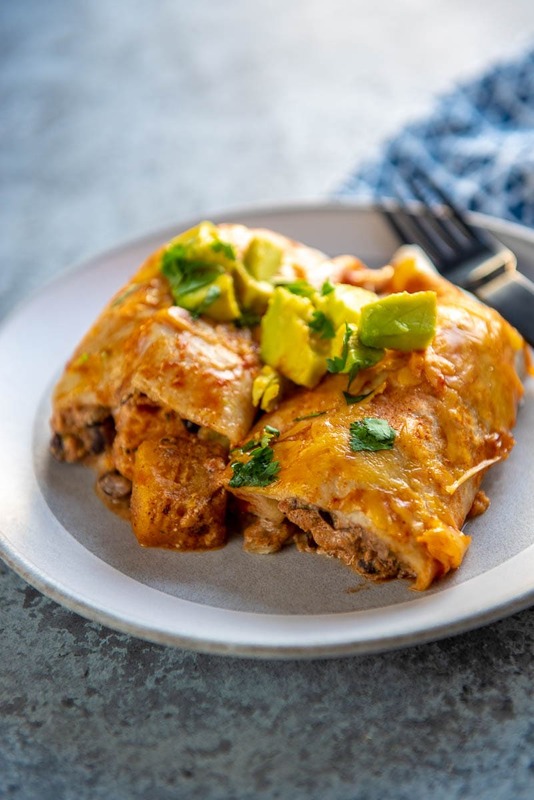 Let your slow cooker do the work so you can enjoy this delicious meat-free dinner! I love recipes that can be assembled in just minutes, because in this stage of life, if it’s not quick, it’s not happening. 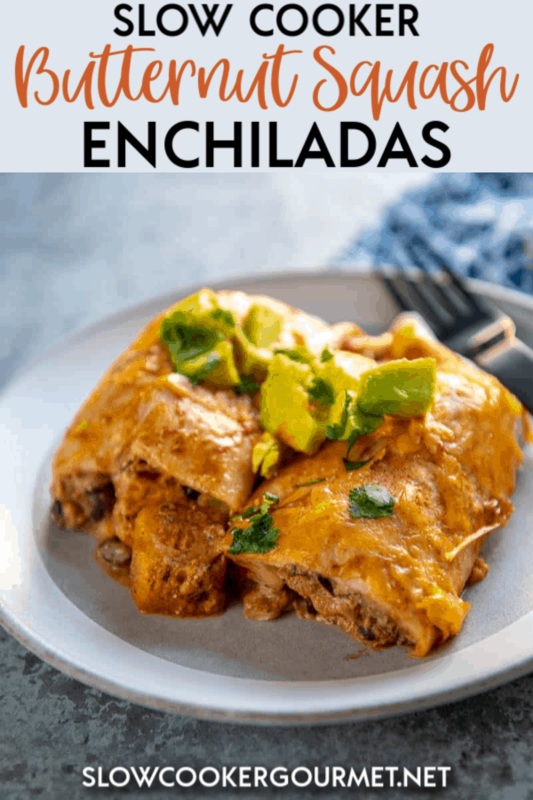 While we do love our beef enchiladas and they are pretty quick and easy to make, sometimes you just want some veggies. 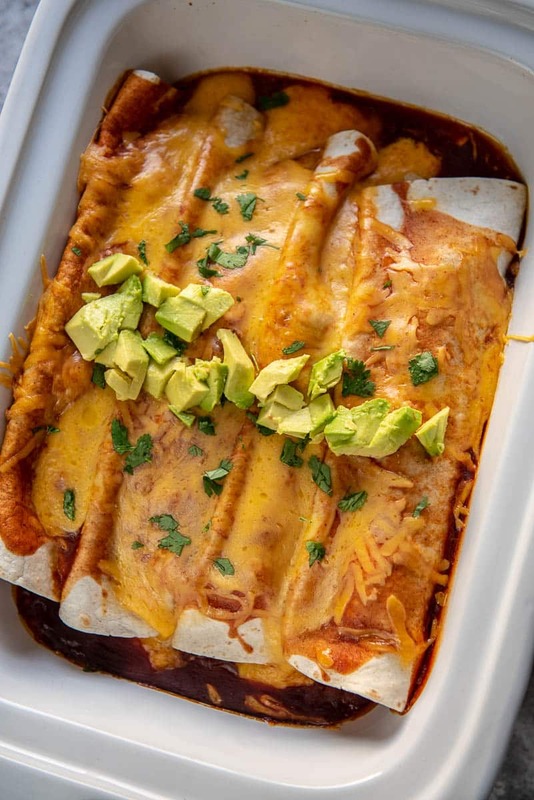 These veggie enchiladas are hearty, filling and require no advance prep to assemble. I love that I can assemble these in less than 10 minutes in the morning and come home to a delicious dinner waiting for us. 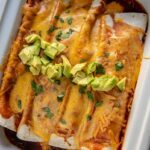 Slow Cooker Butternut Squash Enchiladas will turn your meatless Monday into a day to look forward to! 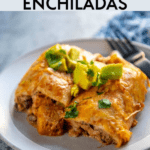 This recipe works best with a casserole slow cooker, however, you can stack the enchiladas in any 6 quart or larger regular slow cooker as well.